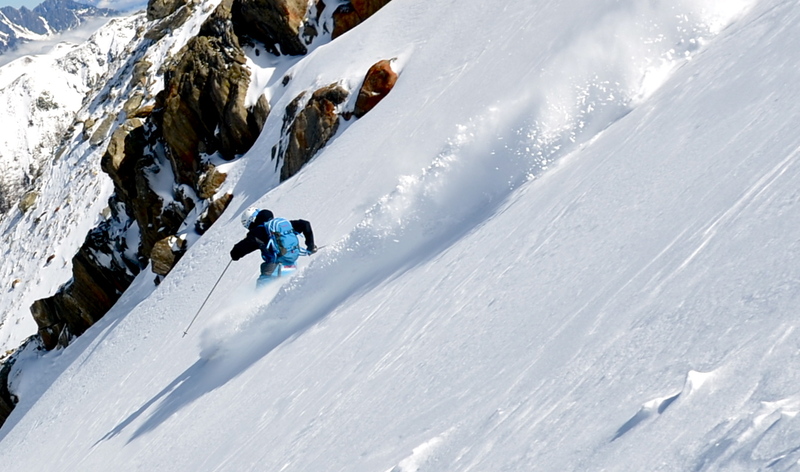 Off piste ski courses for expert level skiers in Chamonix, France. All ski courses are delivered by top international ski instructor, Mark Gear. These off piste ski courses are our highest level and have been developed for expert level skiers capable of skiing all but the most challenging off piste conditions and terrain. The focus of the expert ski courses is to maximize your ability as a strong all-round, all-terrain skier. Versatility is your key to mastering the whole mountain. For this reason, the expert level ski course will help improve your skiing in a variety of conditions and terrain. We will help you develop your performance through strategically designed exercises and drills that encourage better control, versatility and individual skier expression in more challenging snow and terrain. 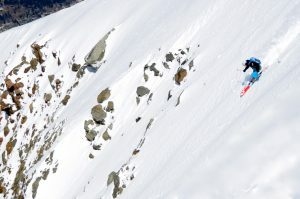 Understand the most up to date skiing techniques and modern, freeride skiing tactics. You will receive a personalised ski coaching approach with daily video feedback in a small group of 6 skiers maximum. During the expert ski courses, we aim to ski some of the best off piste and backcountry terrain in Chamonix, all accessible by the lifts. Sometimes, a short hike to the very top can provide us with a better descent. This ski course is also ideal for ski instructors training for their ski exams, such as BASI ect. The 2 day, weekend ski courses aim to cover the major parts of the 5 day skiing course using a maximum activity approach. That means lots of great skiing with plenty of useful tips and tactics for dealing with different snow and terrain. Equipment needed – Off Piste/All-Mountain skis (If the snow is deep off-piste, 95-110mm underfoot / if the snow is compacted, 85-100mm underfoot). Alpine ski equipment is reccomended but can be touring. Transceiver, shovel and probe in a suitable backpack with chest and waist straps. A helmet is recommended. There are a number of rental shops in resort with this equipment if you don’t have your own.